Victory in the Mornington Cup has earned Self Sense a ballot exemption into October’s Caulfield Cup. A lunch to celebrate the victory of Self Sense in the Mornington Cup will determine the future path of the gelding. 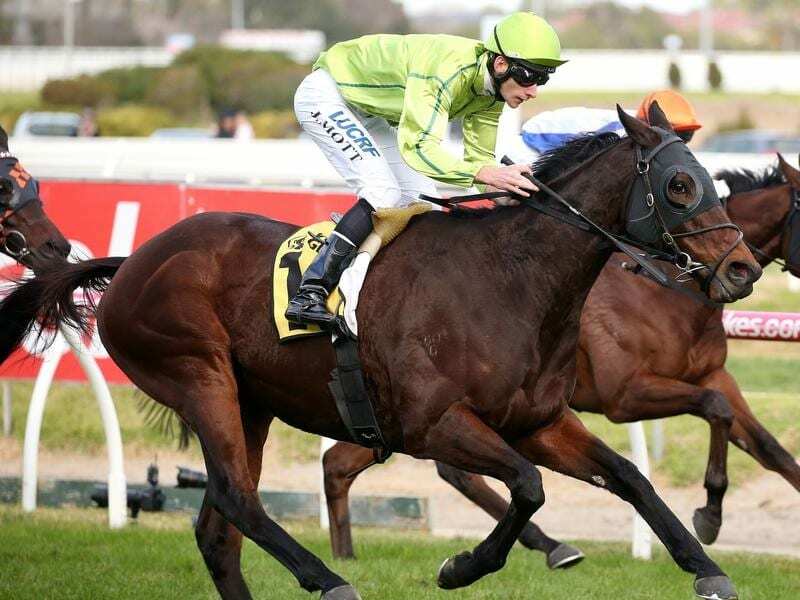 Success in Saturday’s Mornington Cup (2400m) has earned Self Sense a ballot exemption into October’s Caulfield Cup. David Brideoake said he would have to sit down with his fellow owners and discuss options for the gelding, who emerged last season as one of the country’s best jumpers. “This entry into the Caulfield Cup, it means a lot,” Brideoake said. Ridden by Luke Nolen, Self Sense ($12) scored a short-head win over Tarquin ($13) with Trap For Fools ($4.40) three-quarters-of-a-length away third. Fred Kersley, the rider of Tarquin, lodged an objection against the winner for alleged interference at the 300m mark, but it was dismissed after a short deliberation by Racing Victoria stewards. Self Sense was lining up for his third attempt at his hometown cup, having finished sixth in 2017 and 2018. Brideoake said the win was highly satisfying after he returned to winning form in last Sunday’s Yarra Valley Cup. “He hit his straps last week, he pulled up beautifully and we decided to run him on a six-day back,” Brideoake said. “He would have had to do something this morning anyway, but he’s certainly done something special this afternoon. Brideoake said while jumps races potentially could be put on the backburner for the upcoming season, jumping will still form part of his campaign. Self Sense could now head to Sydney for the Group Two Chairman’s Quality (2600m) at Randwick on April 6. “He does like a jump. It stimulates him,” Brideoake said. “Round and round in trackwork he gets a bit dizzy, but once he gets to a fence, he’s excited. “There’s a race in Sydney in two weeks that we’ll have a think about, so we may go there.